Today is the fifteenth anniversary of the day Intertops Sportsbook took the world’s very first online bet. On January 17, 1996 employees at the company’s original Salzburg, Austria office cheered when a Finn named Jukka Honkavaara placed a $50 stake on the outcome of a Tottenham Hotspur and Hereford United football match. Honkavaara collected $52 on that bet, made a $2 profit, and earned his place in igaming history. Since then, many brands have come and gone but Intertops remains as one of the most trusted igaming operators in the world. The internet’s very first sports book continues to welcome players from around the world and is known for quick, hassle-free deposits and withdrawals and excellence in customer service. As it has been since it first launched, Intertops is published in both English and German. The original Intertops web site was launched in German, to serve the many sports bettors it had been serving by mail and phone since 1983, and in English -- the primary language of the Internet and the language most spoken in America where there was and is a huge appetite for sports betting and no high street betting shops to take them. 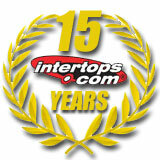 Intertops was founded in 1983 in London with a UK Bookmakers License and relocated to Austria in 1992. In 1997, the online business moved to Antigua while the traditional sports betting business remained in Austria. 1998 saw the launch of one of the first Microgaming online casinos. Last year the company began licensing casino games from RTG. In 2001, the Intertops developed the first mobile betting application, enabling customers to bet with mobile phones anywhere, anytime. By 2003 Intertops.com began online poker operations, progressing to online skill-based gaming in under a year.